I was going to make this update a little later and it was meant to be about different stuff, but a couple of weeks ago I posted on Twitter a video of “mesh distortion tool”, which caused some unexpected amount of positive feedback. It was nice, but at the same time it put much pressure on me. Actually this tool even wasn’t intended for MFCG, it was a proof of concept for a new desktop application. And still, here it is (under a shorter name). Every map produced by the generator has an underlying mesh - districts are the cells of this mesh, roads and rivers run along its edges etc. Using this tool it’s possible to move the nodes of the mesh, effectively distorting the map. This is not “the ultimate editing tool”: you can move and resize wards, twist roads, rivers and coastlines, but you can’t create an island or add a new road for example. Also applying too much distortion may cause glitches. To change the size of the “soft brush” use the mouse wheel or “+” and “-” keys. 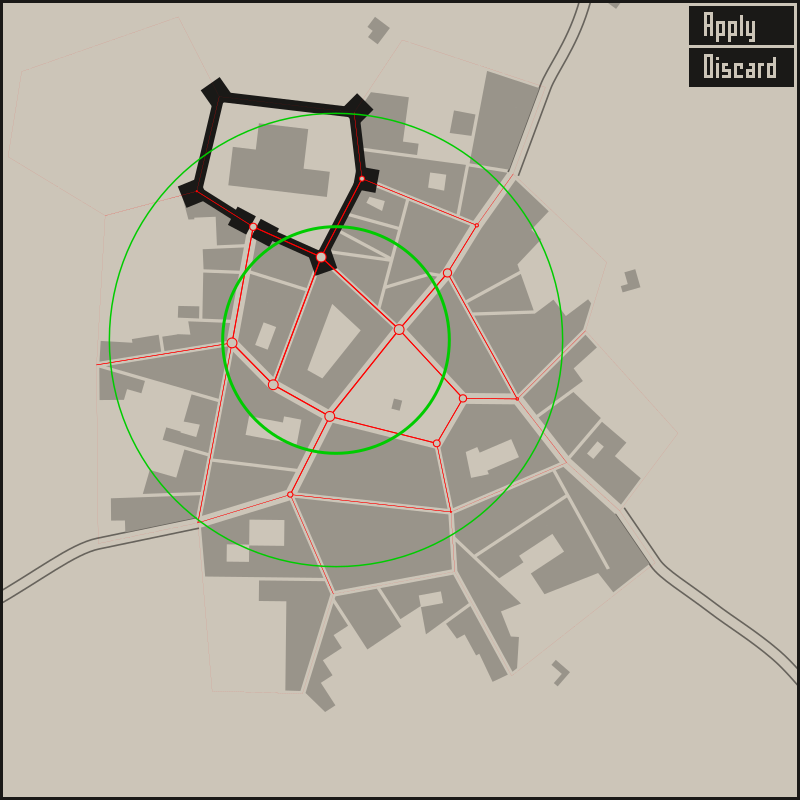 Winding alleys - you won’t see many of them, because this feature is not quite ready yet, but in future updates I hope to improve them and use more widely (not like this, but close). Number of buildings - press the spacebar to see it at the top left of the window. Improved house shapes - an obligatory item of every change log :). Faster generation - a side effect of refactoring. ⚠️ If you haven’t seen my yesterday’s post please have a look, I need your feedback! This is absolutely awesome dude. 9/10 One suggestion though, maybe in increase in the number of drag points in the sea or when you click to drag it leaves a copy of the original drag point behind. I was trying to surround the city with water but the dearth of grab spots made it a bit difficult.